For decision processes within process chains (PC) there is sometimes needed a dummy step which the process ends in. Normally it is a dummy ABAP report can be created that has no code at all. For this a new Z* custom ABAP program can be created. But this is not necessary as there are already few ABAP programs w/o any codes. 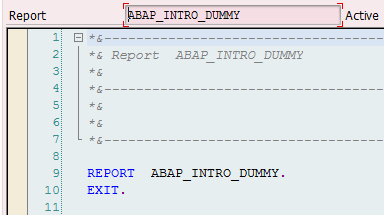 One of such an example is ABAP_INTRO_DUMMY. So no need to create a new blank report just this one can be used.